C (Models 2, 3, 5) (Pacific Aero Products) 1916 = USN twin-float primary trainer, assembled at Pansacola NAS in 1917. 2pOBF; 100hp Hall-Scott A-7A; span: 43'10" length: 27'0" v: 73/65/x range: 300 ceiling: 6,500'; ff: 11/15/16. T Wong. Gross wt: 2800#. POP: 52 [A147/150, A650/699], of which 2 to post-war civil use [672=GCAFK, 687=C5646]. 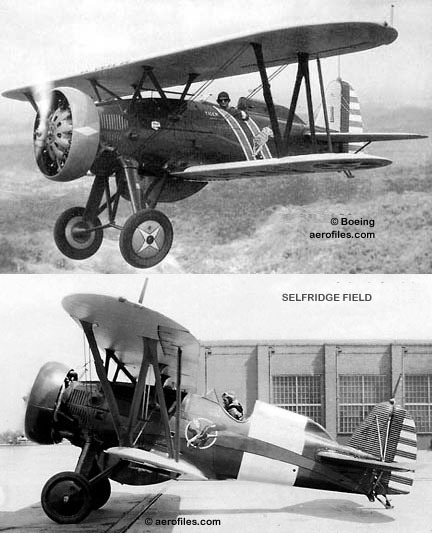 Variants as C-1F, C-11 and C-700. Boeing C-1F (Boeing) C-1F 1918 = USN scout-trainer. 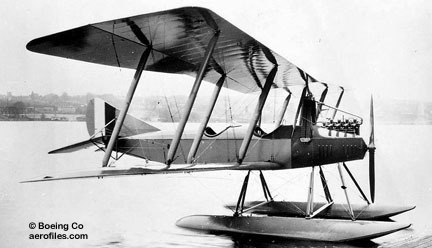 2pOBF; 102hp Curtiss OXX-6; span: 43'10" length: 27'2" v: 70. POP: 1 single-float version of model C [A4347] c/n 9. 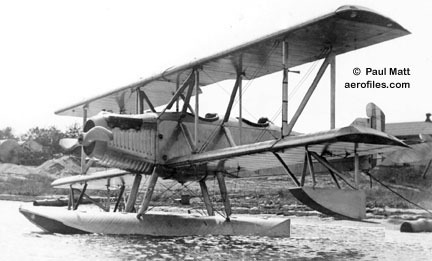 C-11 (Models 2) c.1918 = Single-float version converted from C-4. Only info found comes from a photo in a 1961 Air Progress; basic data from Ron Billman (2/24/04): 100hp Hall-Scott A-7A; span: 43'10" length: 27'2" v: 73 range: 200. POP: probably only 1, reportedly built for a customer in Bremerton WA. SEE data for C-1F. C-14 (Model 953) 1976 = 150pChwM STOL transport; two 55000# GE CF6; span: 129'0" length: 131'8" load (STOL): 52,500# (CTOL): 133,500# v: 504/449/x ceiling: 45,000'; ff: 8/9/76 (p: Roy McPherson). Operating radius (STOL): 460, take-off run: 1000', landing run: 1180'. The engines were placed over and ahead of the wing. Curved flaps and Coanda Effect gave aerodynamic lift. POP: 2 as YC-14A [72-1873/1874]. C-17 Globemaster III SEE McDonnell-Douglas C-17. C-18 (Y1C-18) SEE 200 Monomail. C-18, EC-18 1997 = Ex-airline 707-320 as E-6 to replace EC-135. POP: 8 as EC-18A/-18B/-18D [81-0891/0898], plus 2 to USAF as AWACS cockpit crew trainers TC-18E [N788TW=84-1398, N17510=84-1399] and 2 to USN as TC-18F TACAMO trainers [165342/165343]. C-19 19?? = 747-100 in airline use modified for Civil Reserve Airlift Fleet. C-22 1982 = Former airline 727-100s to USAF as transports. POP: 1 727-130 as C-22A [84-0193], 4 727-135 as C-22B [83-4610, -4612, -4615/4616], and 1 737-212 as C-22C [83-4618]. C-25 19?? = 747-200 modified as presidential aircraft. POP: 2 as VC-25. C-40 Clipper 1999 = USN transport. 737-700C militarized as 121p transport, or 70p in combination with 3 cargo pallets, or all-cargo with 8 pallets (40,000#); two GE-SNECMA CFM56-7; span: 112'7" length: 110'4" v: x/600/x range: 3452 ceiling: 41,000'; ff: 4/14/99. POP: 6 on initial contract. USAF C-40B version planned as VIP transport. C-73 1942 = Commercial 247 impressed by USAAF for transport and cargo duties. Repowered with 600hp R-1340; span: 64'0" length: 51'7" v: 200. POP: 27 [42-38274/38275, -56642, -57153, -57208/57211, - 61094, -68336, -68363/68373, -68853/68854, -68859, -78017]. C-75 1942 = SA-307-B impressed from TWA by Air Transport Command, and flown by TWA crews under contract. POP: 5 [42-88623/88627]. C-97 Stratofreighter (Model 367) - From 377 Stratocruiser. 4-5pClwM rg; four 3500hp P&W R-4360-59B; span: 141'3" length: 110'4" load: 92,500# v: 375/300/100 range: 4300 ceiling: 35,000' (data for KC-97E). Had the highest wing loading of any plane in operation at the time. POP combined total: 888. XC-97 1944 = 2200hp Wright R-3350 Cyclone; ff: 11/9/44. POP: 3 prototypes [43-27470/27472]. C-97A 1949 = First production. POP: 50 [48-397/423, 49-2589/2611], some of which were converted to KC- and VC-97. KC-97 19?? = POP: 888. KC-97A 1950 = Tanker conversion of C-97A. POP: 4 [49-2590/2592, -2596]; all later reverted to C-97A. YC-97A 1949 = Service tester. POP: 3 [45-59593/59595]. YC-97B 1949 = Personnel transport. POP: 1 [45-59596]. C-97C 1951 = Straightened fuselage, flush-mounted antenna. POP: 14 [50-690/703]. VC-97D 1950 = Command transport. POP: 3 conversions from C-97A [49-2593/2594, -2586]. KC-97F 1952 = Taller vertical tail. POP: 158 [51-0243/0389, -0391/0397, -7256/7259]. KC-97G 1953 = Tank modification and relocation. POP: 592 [51-7260/7271, 52-0826/0938, -2602/2806, 53-0106/0365, -3815/3816]. KC-97H 195? = Modified tanker. YC-97J 1955 = P&W company test-bed for T34 turboprops. POP: 2 modified from YC-137 [52-2693, -2762]. C-97K 19?? = Passenger configuration for SAC mission support duties. POP: 27 converted KC-97G. KC-97L 1964 = Two J47 jet engines added. POP: 82 converted KC-97G. C-105 (Model 294) 1942 = XB-15 modified for stateside and Canal Zone cargo duty during WW2 as XC-105 [35-277]. SEE B-15. C-108 (aka CB-17, VB-17) - B-17E and -17F converted to utility roles. XC-108 1943 = 36p executive transport for Gen Douglas MacArthur. POP: 1 modified B-17E [41-2593]. YC-108 1942 = Executive transport. POP: 1 modified B-17E [42-6036]. XC-108A 1942 = With cargo door. POP: 1 modified B-17E [41-2595]. Based in India and used to haul materials into China over the Hump, it was not a success as a transport, being subject to continual engine problems, and there were no further cargo transport conversions of the Fortress. XC-108B 1942 = Aerial tanker for CBI theater's "Hump" route. POP: 1 conversion from B-17F [42-30190]. C-135 Stratotanker (Model 717) 1956 = SAC tanker, in-flight refueler; evolved from 367-80 and predated the civil 707; four 10000# P&W J57-P; span: 130'10" length: 136'3" v: 600+/500/x range: 4000+ ff: 8/x/56. POP: 820, plus a number of surplus 707-300 airliners put into military service with USAF. C-135A Stratolifter 1960 = 126p cargo/passenger version. POP: 15, plus 3 converted from KC-135A. KC-135A 1956 = First production; four 13750# P&W J57P; span: 130'10" length: 136'3" load: 198,500# v: 600/552/x range: 3000 ceiling: 50,000'. POP: 724. NKC-135A 19?? = Tanker mod from 717-100A. POP: 1 [55-3135]. 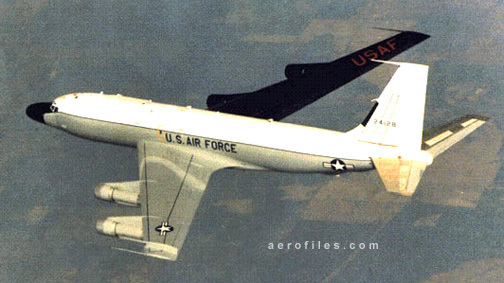 RC-135A (Model 739) 1965 = Photo-recon version. POP: 4 [63-8058/8061]. C-135B Stratolifter 1961 = As C-135A but with 18000# P&W TF33-P5 turbofans. Cargo wt: 60,000#. POP: 30. KC-135B 1962 = Tanker version of C-135B. Engine upgrades. POP: 17. RC-135B, -135C (Model 739) 1963 = Electronic recon with turbofans. POP: 10 [63-9792, 64-14841/14849]; all converted to RC-135C. C-135C 1998 = USAF. Four P&W TF33-P-9. EC-135C 199? = Modification for atmospheric and meteorological sampling. EC-135D 199? 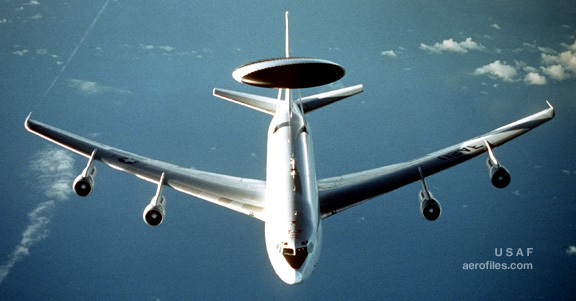 = AWACS version with dorsal "mushroom" radar. KC-135E 19?? = Natl Guard and AF Reserves upgrades with P&W JT3D, recovered wing and tail surfaces. C-135F 1964 = Tankers ordered for French AF. Later repowered as C-135FR. POP: 12 [63-8470/8475, -12735/12740]. KC-135R 19?? = 22000# GE-SNECMA CFM F108-CF turbofans. SEE KC-135E. C-135 conversions - These resulted in at least 40 new designations, ranging from JKC-135A (temporary tests) to TC-135W (trainer), including RC-135S special photo-recon, dubbed "The world's biggest Polaroid camera." NC-135W 2000 = Four P&W TF33-P-5. USAF test vehicle for development of engineering equipment and systems for reconnaissance aircraft. RC-135X Cobra Eye 200? = Modified commercial aircraft (KC-135A? ), with either TF33 or CFM56 engines, as refueling tanker for 20% greater range and paylod that KC-135R. That's RC-135X [62-4128], converted from a military C-135B with TF-33 engines, used as a TELINT recon to track Soviet missile re-entry vehicles. The black wing was to prevent glare from interfering with sensitive sensors on the left side of the fuselage. It was later converted to RC-135S Cobra Ball and upgraded with CFM-56 engines. Primary difference between RC-135S and -135X was configuration of the sensors package. C-137 (Model 707) - Military transport version of 707, modified slightly in cabin arrangement and electronic gear. 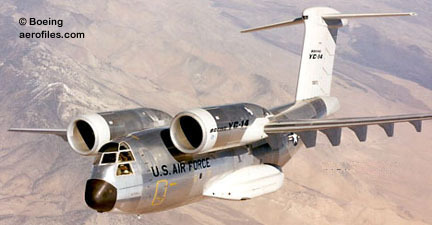 Two originally designated YC-137, became instead YC-97J [52-2693, -2762]. VC-137A, -137B 1959 = USAF VIP transport. 707-120 airframe, repowered with P&W JT3D turbofans. POP: 3 [58-6970/6972]. Later repowered with JT3D-3 turbofans as VC-137B. C-137C 1985 = Former airline 707-300. POP: 2 [85-6973/6974]. VC-137C 1961 = Supplemental presidential transport from 707-320 airframe (possible Boeing Co -353B designation); span: 145'9" length: 152'11" v: x/626/x range: 7000 ceiling: 38,500'. 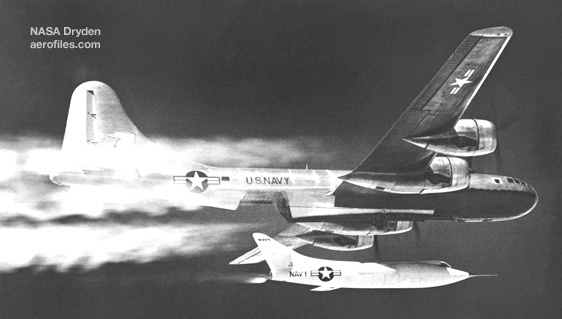 POP: 2 [62-6000, 72-7000]; the first delivered in Oct 1962 and the second in Aug 1972. EC-137D 1972 = 707-320 modified as tanker for AWACS. POP: 2 [71-1407/1408], redesignated E-3A. 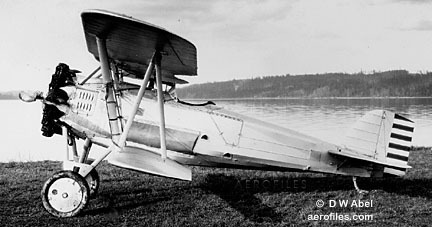 C-700 1919 = 3-5pOBF; 100hp Curtiss OXX; length: 27'2". 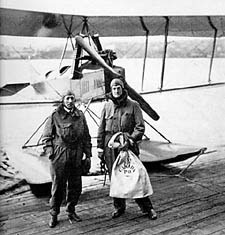 Similar to model C. POP: 1, carried US and Canadian mail from Seattle to Vancouver BC and back 3/3-11/19 (p: Edward Hubbard, William Boeing), establishing the first international air mail route. Repowered as CL-4S. C-767 2002 = Unusual and out-of-series, but official USAF-approved Mission Design Series (MDS) designation of KC-767A for 767 as tanker. 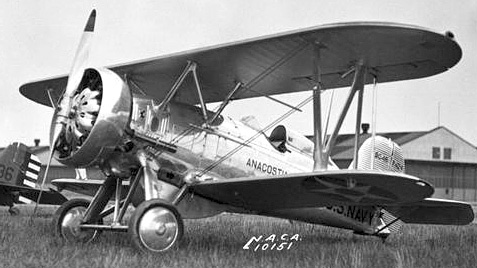 CL-4S c.1928 = C-700 redesignated with 125hp Hall-Scott L-4. POP: 1 . CO-7 1924 = De Havilland DH-4M-1 rebuilt as XCO-7. POP: 3 [AS24452/24454]. XCO-7A 192? 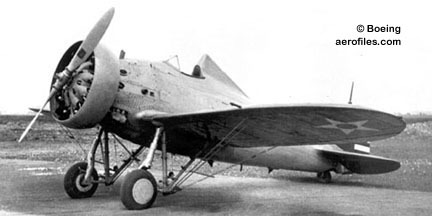 = XCO-7 modified with special wings and tails. POP: 1 [AS24453]. XCO-7B 192? = Refitted with inverted, air-cooled Liberty 12A. 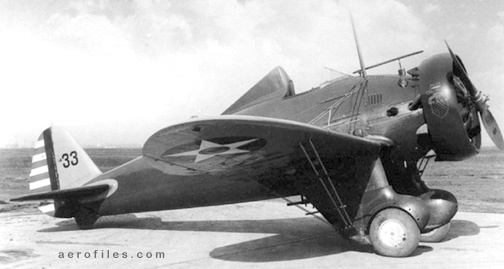 POP: 1 [AS24454] and 1 conversion from DH-4M-1 [AS31216] as McCook Field P-358. Concept Airliner SEE Sonic Cruiser. 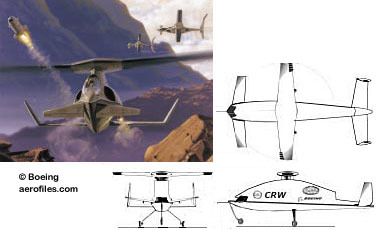 CRW - Suspected of being the enigmatic X-50, under development (2002) at Boeing's "Phantom Works" is a high-speed VTOL aircraft as the Canard Rotor/Wing in manned and unmanned versions. Also known as "Dragonfly," CRW will combine the hover efficiency and low-speed flight characteristics of a helicopter with the high-subsonic cruise speed of a fixed-wing aircraft. Powered by a turbofan engine utilizing diverter valves to direct thrust to the rotor blade tips or aft to the jet nozzle, with dual bleed thrust during transition, able to operate at speeds in excess of 460 mph. 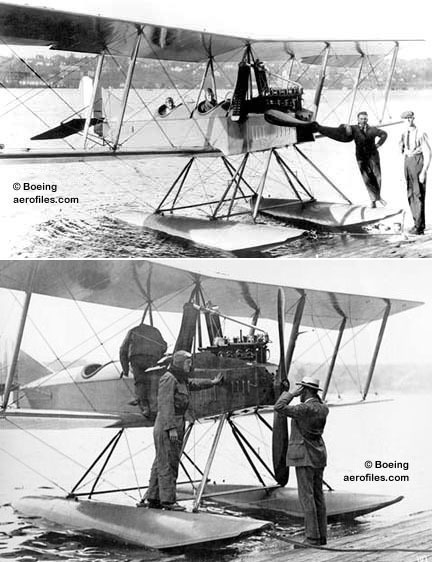 DH-4M - 2pOB; 420hp Liberty 12A; span: 42'6" length: 29'11" load: 1565# v: 124/100/x. Conversion of wartime de Havilland DH-4 with new steel-tube fuselage; "M" for "modernized." DH-4M 1923 = POP: 53. 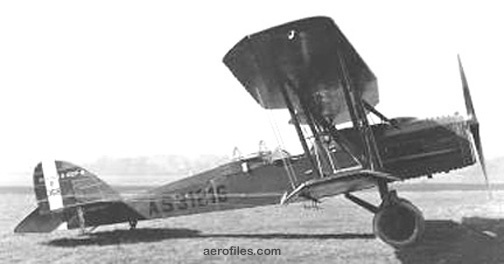 DH-4M-1 192? = POP: 97, included DH4-M-1K target tugs and DH-4-1T dual-control trainers, plus 30 as USMC O2B-1. E-3 Sentry (Model 707) - 707-320 for AWACS duty and export. Four 21000# P&W TF33 turbofans; span: 145'9" length: 152'11" v: x/600/x ceiling: 29,000'. E-3A 1977 = USAF and NATO aircraft were powered by P&W TF33s, Saudi aircraft by GE-SNECMA CFM56s. POP: 34 to USAF, 18 to NATO, 5 to Saudi Air Force. 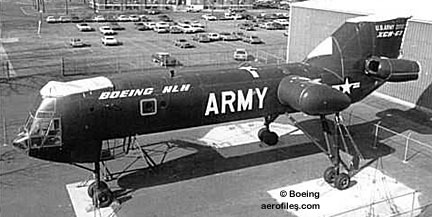 Two aircraft built as EC-137s were later rebuilt as E-3As, acquiring new Boeing line numbers in the process. KE-3A 19?? = Tanker for Saudi Air Force, based on 707-320C, but powered by CFM56s. POP: 6. E-3B 19?? 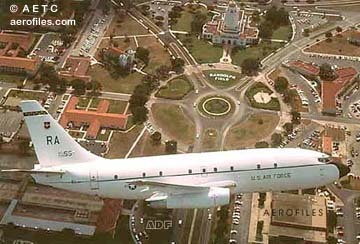 = USAF Block-20 modification updated two EC-137Ds and 22 USAF E-3As to E-3B standard by adding ECM-resistant communications, a third HF and five more UHF radios (making 12), faster CC-2 computer with more memory, five more SDCs (Situation Display Consoles) for a total of 14, Westinghouse austere maritime surveillance capability to main radar, provision for Have Quick anti-jamming in UHF radios, self-defense and radio teletype. E-3C 19?? = Block 25 modification. Added five more SDCs, five more UHF radios, and provision for Have Quick. E-3D Sentry AEW Mk 1 19?? = POP: 7 to RAF with CFM56-2A-3. E-3F 19?? = POP: 4 to French Air Force with CFM56-2A-3. E-4 (Model 747) 1974 = Flying command post, military conversion of 747-200. 86pClwM rg; four 52500# GE F103-GE/CF-6 turbofans (first delivered with P&W JT9Ds); span: 195'8" length: 231'4" v: x/602/x ceiling: 45,000'. Endurance was 72 hrs with in-flight refueling. POP: 1 as E-4, 3 as E-4A with modified electronics gear, of which 1 modified as E-4B in 1980. E-6A Hermes, Mercury 1987 = Long-range communications relay based on 707-300 with GE-SNECMA CFM F108 engines. POP: 16 by 1988. E-8A, -8B, -8C 199? = Ex-airline 707 as Joint Surveillance Target Attack Radar System (J-STAR). One E-8C built with CFM F108s, but was later disposed of because the program could not afford to order more new-build aircraft before the 707 line closed. E-9 1987 = Radar surveillance. POP: 2 contract-built Canadian de Havilland DHC-8-100s for USAF. E-767 19?? = Successor to E-3. 767-200ER with radome similar to E-3. Only exports to Japanese Air Self-Defense Force known. 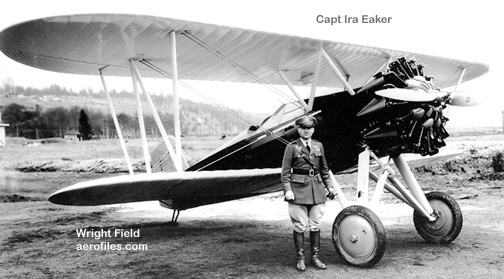 EA (Model 4) 1918 = 3pOB; 90hp Curtiss OX-5; span: 43'10" length: 27'0" v: 73/65/x range: 200 ceiling: 6,500'. Tricycle-gear version of C with side-by-side cockpit. POP: 2. F-9 1942 = Photo-recon conversions of B-17F. Reclassified as RB-17G in 1948. F-18 - Contractor for McDonnell Douglas-Northrop F-18. F2B - Carrier-based fighter developed from Army's P-8. 1pOB; 425hp P&W R-1340B; span: (upper) 30'1" (lower) 24'6" length: 22'11" load: 817# v: 160/132/57 range: 317 (?>358) ceiling: 21,200'. 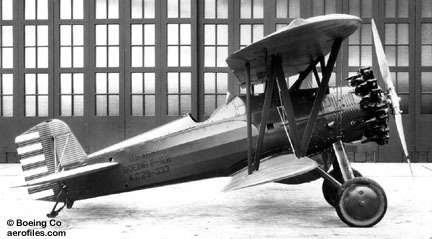 XF2B-1 (Model 69) 1926 = Boeing-funded civil prototype; ff: 11/3/26. POP: 1 unregistered, received the USN designation as experimental for testing [A7385]. 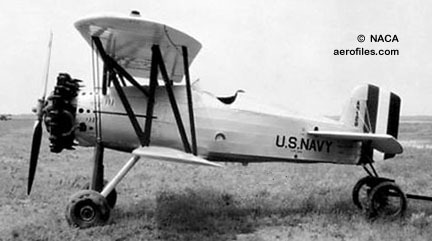 F2B-1 (Model 69, 69-B) 1929 = Balanced rudder. POP: 32 [A7424/7455] and 2 civil exports as Model 69-B. F3B - F2B with larger wings, improved vertical tail. 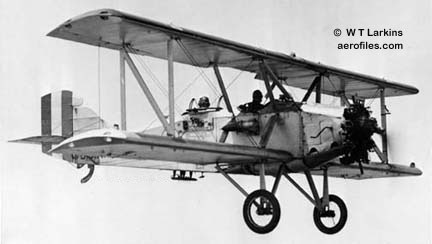 XF3B-1 (Model 74) 1927 = 425hp P&W R-1340-80; span: 33'0" length: 25'1" v: 157/131/54 range: 335 ceiling: 21,300'; ff: 3/2/27. POP: 1 [A7674], modified from original straight top wing to a wider wing with sweepback, and ultimately equipped with a single wood float and flotation gear. F3B-1 (Model 77) 1928 = Fin modification, 425hp R-1340-80; span: 33'0" length: 24'10" load: 767# v: 156/131/55 range: 340 ceiling: 21,500'. Later models had wheel pamts and a Townend cowling. POP: 73 [A7675/7691, A7708/7763]. F4B - USN fighter. 1pOB; 500hp P&W R-1340B; span: 30'0" length: 20'7" load: 746# v: 169/x/56; ff (as Model 83): 6/25/28. Generally conceded to be the most attractive Golden Age fighter. 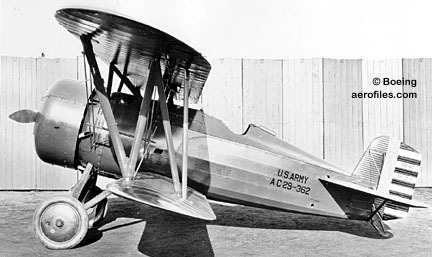 USAAC version was P-12. XF4B-1 (Models 83, 89) 1929 = POP: 2 [A8128/8129]. 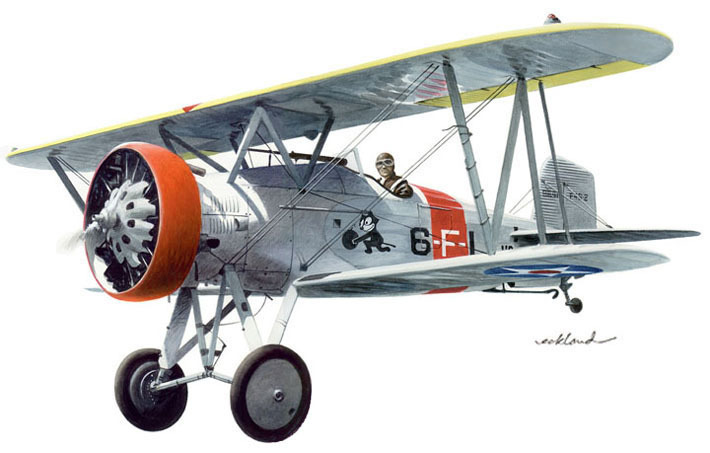 F4B-1, -1A (Model 99) 1929 = 500hp P&W R-1340-8; v: 176/140/59 range: 370; ff: 5/6/29. $13,750; POP: 27 [A8130/8156]. F4B-1A was an unarmed conversion as executive transport for USN Secy David Ingalls [A8133]. 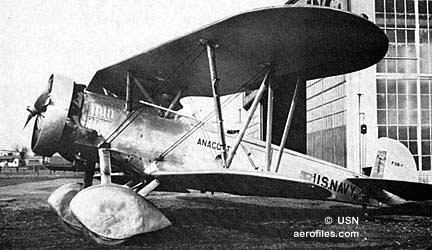 F4B-2 (Model 223) 1931 = R-1340S, split axle, Frieze ailerons, ring cowling; length: 20'1" load: 732# v: 186/x/59 range: 400. $11,426; POP: 46 [A8613/8639, A8791/8809]. F4B-3 (Model 235) 1932 = All-metal fuselage; v: 187/x/61. $12,497; POP: 21 [A8891-8911]. 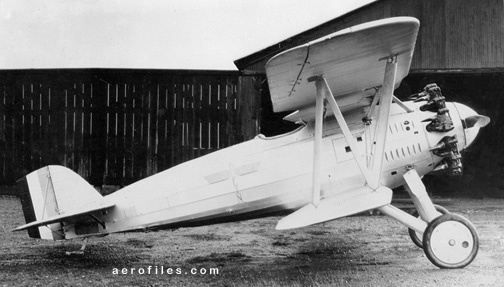 F4B-4 (Model 235) 1932 = 550hp R-1340, larger fin and headrest; load: 483# v: 188/x/63 range: 370. POP: 92 [A8912/8920, A9009/9053, 9226/9263], plus 23 for export to Brazil. F4B-4A 1940 = POP: 23 modifications of F4B-4 and Army P-12C/-D/-E/-F as target drones. 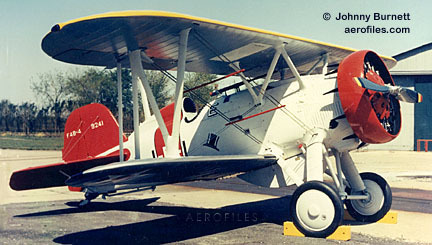 F5B (Model 205) 1930 = USN fighter. 1pOhwM; cowled 500hp P&W R-1340D; span: 30'6" length: 21'0" load: 757# v: 183/x/71. 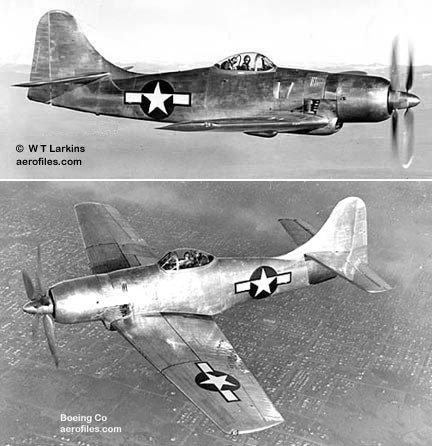 Single-wing version of F4B-1, companion of Army XP-15, but with rounded fin. POP: 1 as XF5B-1 [X271V=A8640]. F6B (Model 236) 1933 = 1pOB; 625hp P&W R-1535; span: 28'6" length: 22'2" load: 1415# v: 200/170/x range: 525 ceiling: 24,400'. POP: 1 as XF6B-1 [A8975]; modified as dive-bomber XBFB-1 in 1935. F7B (Models 273/274) 1933 = 1pClwM, later OlwM; 550hp P&W SR-1340-30; span: 31'11" length: 27'7" load: 870# v: 233/200/x range: 750 ceiling: 29,200'. 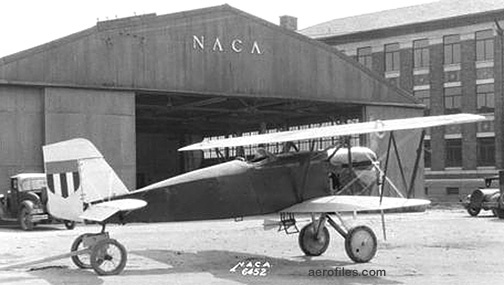 Similar to USAAC YP-29. POP: 1 as XF7B-1 . F8B (Model 400) 1944 = USN fighter-bomber. 1pClwM rg; 3000hp P&W XR-4360-10 Wasp Major with two three-blade contraprops; span: 54'0" length: 43'3" load: 6318# v: 340 range: 1305 ceiling: 37,500'; ff: 11/28/44. Folding wings; landing gear used rearward-swiveling retraction (a Boeing design that was also licensed to Curtiss Co for its P-40), internal bomb bay. It was the last of the Boeing piston-enginee fighters. POP: 3 as XF8B-1 [57984/57986]. FB - Fighter. 1pOB. Army version was PW-9. FB-1 (Model 15) 1925 = 400hp Curtiss D-12; span: 32'0" length: 23'6" load: 812# v: 167/x/58 range: 510. POP: 10 [A6884/6893], plus 2 that were modified as FB-2 and 1 as FB-4. 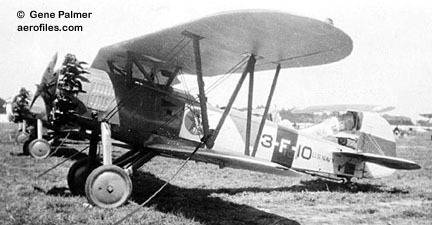 FB-2 (Model 53) 1926 = Modified from FB-1 with carrier arresting gear. POP: 2 [A6894/6895]. FB-3 (Model 55) = Land/sea versions with 510hp Packard 1A-1500. POP: 3 [A6897, A7089/7090]. 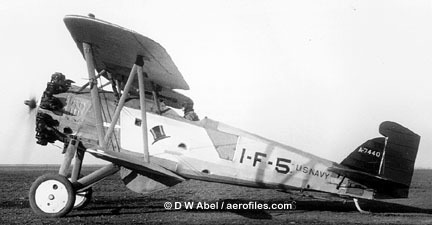 FB-4 (Model 54) 1926 = FB-1 on twin floats and with 450hp Wright P-1. POP: 1 [A6896], became FB-6. FB-5 (Model 67) 1926 = Land/sea. 520hp Packard 2A-1500; length: 23'10" load: 780# v (wheels): 163/150/66 range: 323 ceiling: (wheels) 22,000' (floats) 17,800'; ff: 10/7/26. POP: 27 [A7101/7127]. FB-6 (Model 54) 1926 = Conversion of FB-4 on wheels with 400hp P&W R-1340B. POP: 1 [A-6896]. Performance was improved, but USN, for reasons known only to themselves, decided to end the series with FB-5. GA-1 (Model 10) 1920 = 3pOT; two 435hp Liberty 12A pushers with four-blade props; span: 65'6" length: 33'8" load: 2208# v: 102/89/64 range: 160 ceiling: 9,600'. Cumbersome at best, the only twin-motored triplane on USAAC rosters flew despite having to haul three men, a 37mm cannon and eight .30cal machineguns, fragmentation bombs, and nearly a half-ton of armor plate in its role of a ferocious strafing machine, but the idea never caught anyone's fancy, especially its pilots. POP: 10 [AS64146/64155], contracted by Engineering Division, its designer and builder of the prototype GAX. 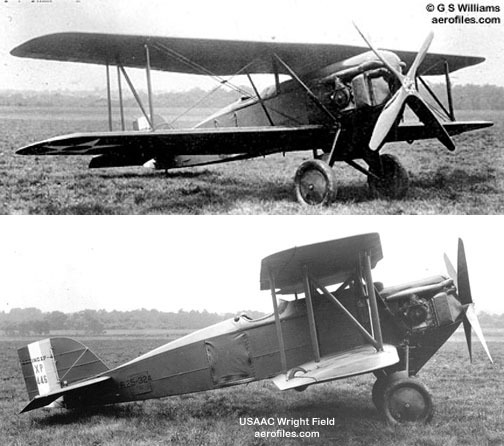 GA-2 (Model 10) 1921 = Redesigned GA-1. 2pOB; 750hp Engineering Division W-1A-18; span: 54'0" length: 37'0" load: 2307# v: 98/80/53 range: 165-200 ceiling: 12,000'. POP: 3 [AS64235/64237]. Proved problematical in flight. 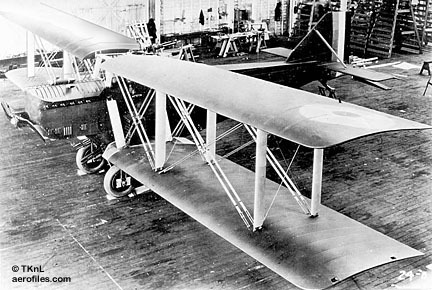 HS-2L c.1920 = Contract-built Curtiss HS-2. POP: 25 [A4231/4255]; 225 cancelled but assigned s/ns [A4256/4280, A5259/5458]. 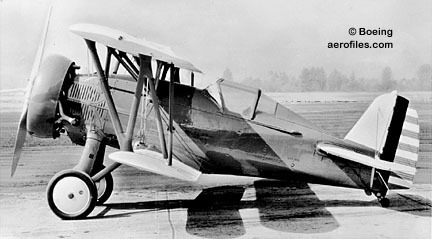 L-15 Scout (Boeing-Stearman) (Model 451) - Liaison. 2pChwM; 125hp Lycoming O-290; span: 40'0" length: 25'3" v: 110/85/45 range: 250 ceiling: 12,500'. Inverted twin tails on a single boom with a short gondola fuselage; full-span flaps. Operated on wheels, floats, or skis. All 12 all went to US Forest Service in Alaska. XL-15 1947 = POP: 2 prototypes [46-520/521]. YL-15 1948 = Production model. POP: 10 [47-423/432]. L-15B 1948 = 47 ordered and assigned s/ns, but cancelled [47-433/479]. MD-520N SEE McDonnell Douglas MD-520N. MD-600N SEE McDonnell Douglas MD-600N. MD-902 SEE McDonnell Douglas MD-902. NB - USN fighter-bomber. 2pOB on wheels or floats. NB-1, -3 (Model 21) 1924 = 200hp Wright J-4; span: 36'10" length: 25'5" v: 99 ceiling: 15,500'. POP: 42 [A6749/6768, A6836/6857]. 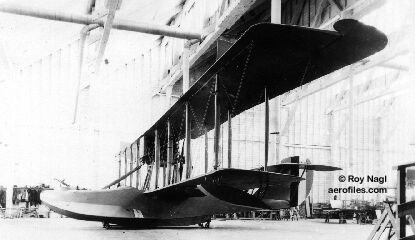 Modified with l fuselage and fin as NB-3. 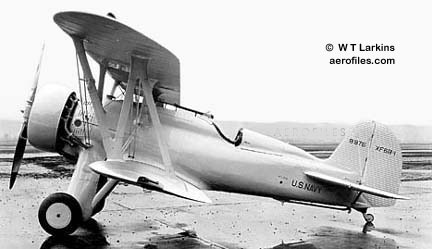 NB-2, -4 1925 = 180hp Wright E-4; length: 28'9" v: 96 ceiling: 9775'. POP: 30 [A6769/6798]. Fuselage lengthened as NB-4. N2B 1928 = 2pOB; 130hp Caminez; span: 35'0 length: 25'8 v: 113 ceiling: 13,350'. Repowered with 165hp Wright R-540. POP: 1 as XN2B-1 [A8010]. SEE ALSO 81. O2B 1927 = 2pOB; 416hp Liberty V-1650 (12A); span: 42'5" length: 29'11". Contract-built De Havilland DH-4M. POP: 30 for USMC as O2B-1 [A6898/6927]. OB - Project cancelled and unbuilt, but s/ns assigned [A6882/6883] as OB-1. P-7 (Model 93) 1928 = Modified PW-9D with 600hp Curtiss V-1570 and deep radiator; span: 32'0" length: 24'0" load: 834# v: 167/134/62 ceiling: 21,120'. POP: 1 as XP-7 [28-041], converted back to PW-9D after testing. P-8 (Model 66) 1928 = 1pOB. 600hp inverted Packard 2A-1530, wing radiator; span: 30'1" length: 23'4" load: 1031# v: 170/136/64 ceiling: 20,950'. POP: 1 as XP-8 [28-359]. P-9 (Model 96) 1930 = 1pOhwM; 600hp Curtiss V-1570; span: 36'7" length: 25'8" load: 910# v: 181/144/70 ceiling: 25,300'. Shoulder-wing, all-metal fuselage. POP: 1 as XP-9 [28-386]. Contract cancelled because of test-pilot's report of "poor vision and dangerous flying qualities." P-12 - 1pOB; 450hp P&W R-1340; span: 30'0" length: 20'1" load: 778# v: 171/135/60 range: 520 ceiling: 28,200'. From Models 83 and 89. 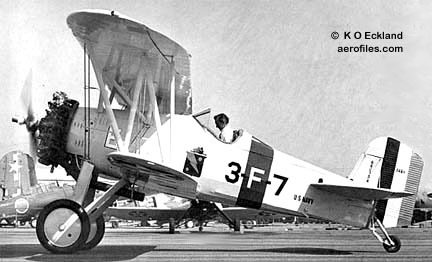 USAAC version of USN F4B; ff (as XF4B-1): 6/25/28. 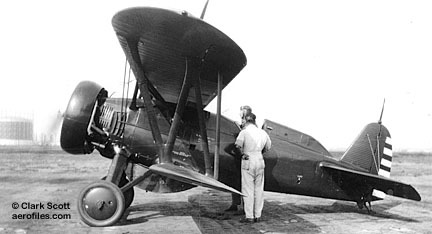 P-12 (Model 102) 1929 = First production, identical to F4B-1 minus arresting hook; ff: 4/11/29. POP: 9 [29-353/361]. 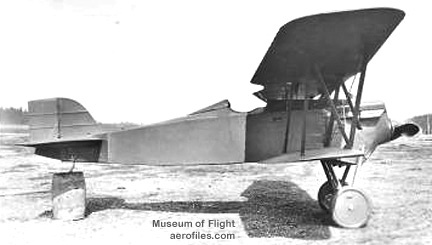 P-12A (Model 101) 1929 = Modified cowling, ailerons, landing gear. POP: 1 as XP-12A [29-362]; ff: 5/10/29, destroyed eight days later in a mid-air collision with another P-12. P-12B (Model 102B) 1930 = length: 20'3" load: 693# v: 175/137/x range: 540. $11,224; POP: 90 [29-329/341, -433/450, 30-029/087]. ZP-12B 193? = No data. Photo identified as such, with 550hp SR-1340-11. P-12C (Model 222) 1930 = Ring cowling and spreader-bar gear; length: 20'1" load: 692# v: 178/141/x range: 580. $10,644; POP: 96 [31-147/242]. P-12D (Model 227) 1931 = Internal modifications. POP: 35 [31-243/277]. P-12E (Model 234) 1931 = 500hp R-1340; length: 20'3" load: 690# v: 189/160/x; ff (as Model 218 [X66W]): 9/29/30. 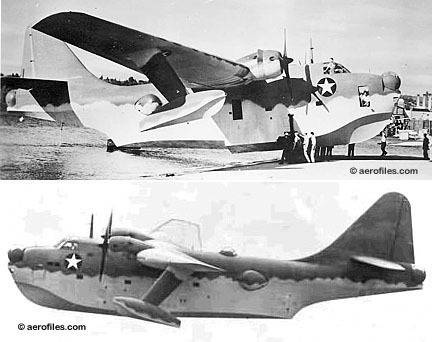 POP: 110 [31-553/586, 32-001/076], of which 1 was modified for temporary testing XP-12E and 1 modifed as P-12Jthose plus 5 others became YP-12K. 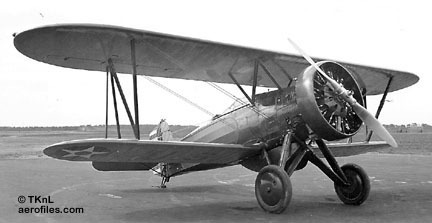 P-12F (Model 251) 1932 = 600hp SR-1340G. POP: 25 [32-077/101], of which some final units were equipped with a sliding canopy. 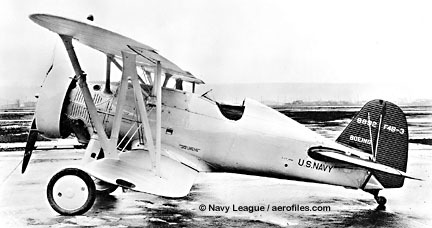 P-12G 1932 = P-12B with SR-1340G with turbocharger. POP: 1 as XP-12G, converted back to P-12B. 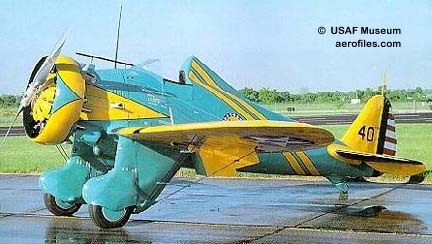 P-12J (Model 234) 1932 = 575hp R-1340, modified from P-12E. POP: 1 [32-043], became YP-12K. P-12K (Model 234) 1933 = P-12E with fuel-injected SR-1340E; v: 192/x/x. POP: 7 converted from earlier models as YP-12K. 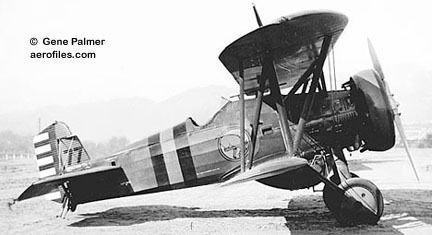 P-12L (temporary designation) 1934 = YP-12K modified with turbocharger. 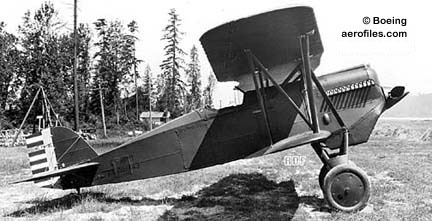 POP: 1 as XP-12L. P-15 (Model 205) 1930 = 1pOhwM single-wing test version of 202; 525hp P&W SR-1340D; span: 30'6" length: 21'0" load: 740# v: 185/150/71 ceiling: 26,550'. Ring cowl, parasol wing, metal fuselage. POP: 2; 1 civil [X270V] to USAAC as XP-15 (Model 202), and 1 to USN as XF5B-1 [A8640]. 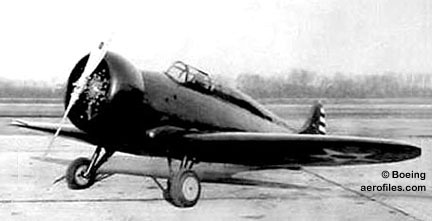 P-26 - 1pOlwM fighter, popularly nicknamed "Peashooter." Went from a drawing-board design to a flying prototype in only nine weeks! This handsome little ship, the Army's first monoplane fighter and its first all-metal one, remained in active service until 1938 (and as late as 1942 in the Philippine Air Force). XP-936 (Model 248) 1932 = Boeing designation; ff: 3/20/32 (p: Les Tower). POP: 3 prototypes [32-412/414], purchased by USAAC after testing and redesignated Y1P-26. 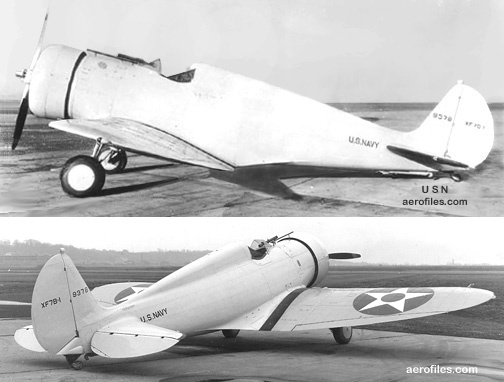 XP-26, Y1P-26 1933 = USAAC redesignation of XP-936. 525hp P&W R-1340; v: 227/193/74. POP: 3 as Y1P-26, then briefly XP-26 [32-412/414]. Became P-26A. P-26A (Model 266) 1934 = 500hp R-1340-27; span: 28'0" length: 23'7" (?>23'10") load: 747# (?>758#) v: 234/199/82 range: 635 ceiling: 27,400'. Wing flaps added. POP: 111 [33-028/138]. Official Army acceptance on 6/26/34. P-26B (Model 266A) 1935 = 600hp SR-1340-33 with fuel injection; v: 235/200/73 ramge: 326 ceiling: 28,000'; ff: 1/10/35. $14,000 less engine and armament; POP: 7 [33-179/185], plus later conversions from P-26C. P-26C (Model 266) 1936 = R-1340-27 and minor control changes. 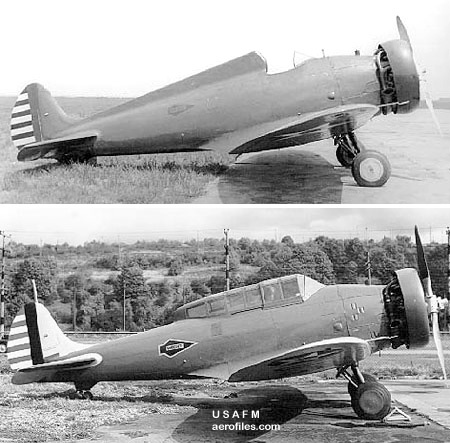 POP: 19 [33-181, -186/203], 13 of which were later back-converted to fuel-injected P-26B. P-29 - A modified, all-metal, upgraded version of P-26 with cockpit canopy and retractable gear. XP-29, XP-940 1934 (Model 264) = Boeing-owned prototype; 550hp R-1340-31; ff: 1/20/34. POP: 1 [34-023], tested as factory-designated XP-940. 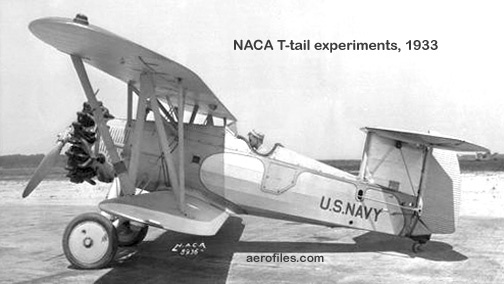 Purchased by USAAC and converted to YP-29. YP-29 1934 = 1pClwM rg; 575hp R-1340-35; span: 29'5" length: 25'0" load: 1010# v: 250/212/x range: 800 ceiling: 26,000'. POP: 2 [34-023/024]. YP-29A, P-29A 1934 = Converted YP-29 with open cockpit; load: 768# v: 242/206/x ceiling: 24,200'. POP: 1 [34-024]. Became P-29A after completion of tests. YP-29B, P-29B 1934 = Completed with open cockpit and redesigned wing planform with one-piece flap. POP: 1 [34-025]. P-32 (Model 278) - Unbuilt P-29 project with 700hp P&W R-1535-1. P2B 1947 = USAF Boeing B-29 inducted into naval service as research planes. POP: 4 as P2B-1S [84028/84029] (ex-45-21789 and -21787), the latter which became the D-558's mother ship Fertile Myrtle, and -2S [84030/84031] (ex-45-21791 and 44-87766). 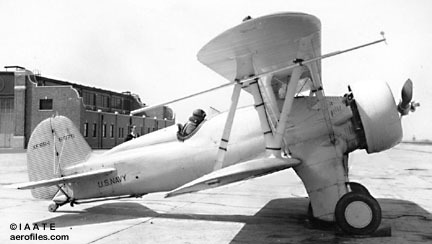 PB (Model 50) 1925 = USN patrol. Larger, 5pOBFb version of NAS PN-7, with two 800hp Packard 2A-1500. POP: 1 as XPB-1 [A6881]. Built to lead two PN-7s in the first US-Hawaii flight, 8/31/25, it experienced motor problems and its flight was cancelled. Converted to PB-1; span: 87'6" length: 59'5" load: 15,270# v: 112/94/x range: 2500. PB-2 1928 = Repowered PB-1 with two 800hp P&W R-1860. POP: ?? as XPB-2. PB 1945 = USN long-range anti-sub recon and SAR, transferred from USAAF B-17G [44-83864/83885]. Large radome for APS-20 radar, internal fuel tanks. POP: 1 as PB-1 . 31 as PB-1W [34114, 77137/77138, 77225/77244, 77258, 83992/83998], of which 1 was used to carry a weighted model of Grumman F8F for drop tests in "bring-along" fighter experiments, and 17 to USCG as PB-1G with underslung dropable lifeboat for rescue duty [77245/77257, 82855/82857, 84000]. PB2B - Contract production of Consolidated PBY Catalina for Lend-Lease export. PB2B-1 194? = POP: 240 to RAF as Catalina IVB and 17 to RCAF as Catalina. PB2B-2 194? = Tall fin. POP: 50 to RAF as Catalina VI and 55 to RCAF as Canso. PBB Sea Ranger (Model 344) 1942 = 10pChwMFb; two 2000hp Wright R-3350; span: 139'9" length: 94'9" load: 62,840# v: 219/158/x range: 4245; ff: 7/9/42. Theoretical endurance: 72 hrs. POP: 1 XPBB-1 . XPW-9 1923 = POP: 3 [23-1216/1218]. PW-9 (Model 15) 1925 = POP: 30 [25-295/324], the last of which became XP-4. PW-9A 1926 = POP: 25 [26-351/375], of which 1 was modified as AT-3. PW-9C 1926 = 435hp Curtiss. POP: 40 [26-443/457, 27-178/202]. PW-9D (Model 93) 1928 = New radiator and cowling. POP: 16 [28-026/041], the last of which became XP-7, then reconverted to PW-9D. QSRA 1978 = "Quiet Short-haul Research Aircraft" airliner developed by NASA-Ames from de Havilland DHC-5/C-8A [63-13687] and modified by Boeing with four 7500# Lycoming YF102 turbofans, new wing and tail. Employed upper surface blowing powered lift technology over inboard Coanda flaps and boundary layer control air over the wing's leading edges and ailerons; ff: 7/6/78. In a joint test program with USN it made 37 touch-and-go and 16 full-stop landings and take-offs from USS Kitty Hawk on 7/10/80. Skyfox 1983 = Sleek, radical redesign of Canadair's Lockheed T-33 as a budget combat trainer by Boeing subsidiary, Skyfox (Los Angeles CA). 2pClwM rg; two 3700# Garrett TFE731-3A turbofans; span: 37'10" length: 44'0" (?>46'0") load: 5716# (?>5900#) v: 581 range: 2255 ceiling: 50,000'; ff: 8/23/83 (p: Tony LeVier). Aft side-mounted engines. POP: 1 prototype [N221SF]. Rights transferred to Boeing in 1986. Sonic Cruiser 2001 - Proposed entry soon after 787's debut (mid-2007), company's proposed 175-250p delta-wing Concept Airliner would concentrate on speed rather than size; span: 164'10" length: 250'0" v(est): x/Mach .95/x ceiling(est): 40,000'. Estimated cost of development: $8-$10 billion. However, faced with apparent lack of commercial interest, the project was abandoned by Dec 2002 in favor of the slower but fuel-efficient 787 Dreamliner, to which much of its research was applied, including carbon fiber-reinforced plastic for fuselage and wings, and bleedless engines. Boeing T-5, -6 SEE Boeing School. T-43 (Model 737-253) 1973 = USAF version of 737 as 12-20p navigator trainer outfitted with two maxiumum-proficiency student, five advanced-student, and 12 primary-student stations. Two 14500# P&W JTBD-9A; span: 93'0" length: 100'0" v: 535/x/x range: 3000 ceiling: 37,000'. $5,390,000; POP: 19 as T-43A [71-1403/1406, 72-0282/0288, 73-1149/1156]; 7 converted to CT-43A passenger transports [72-0282, 72-0284/0287, 73-1149, 73-1154]. 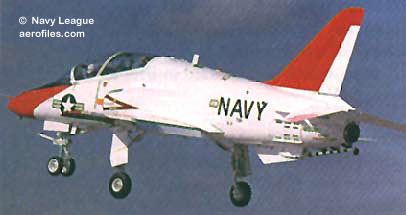 T-45 Goshawk - USN/USMC intermediate jet trainer, the trainer part of Boeing's integrated air/ground training system. Derivative of British Aerospace Hawk trainer. Replaced T-2C Buckeye. Unit cost: $17.2 million. T-45A 1988 = 2pClwM rg; 5845# R-R Adour Mk 871; span: 30'10" length: 39'4"; ff: Apr (?>Dec) 1988. POP: 83. Became operational in 1991. T-45B - Non-carrier project cancelled, none built. T-45C 1997 = New "glass cockpit" digital instrumentation; 5527# R-R F405-RR-401 turbofan; v: 645/x/x range: 805 ceiling: 52,500'. 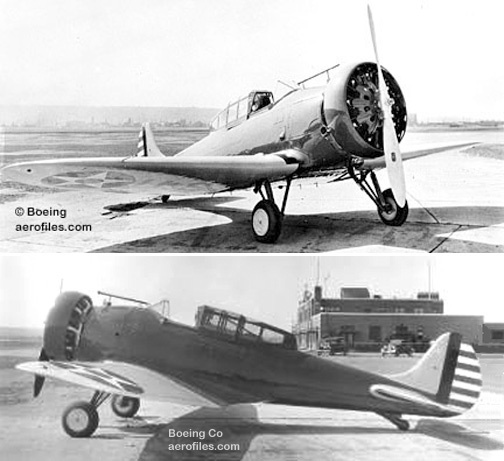 TB - Boeing's only torpedo plane. 3pOB; 730hp Packard 3A-2500; span: 55'0" length: 42'7" load: 4239# v: 106/100/59 range: 850 ceiling: 12,500'. 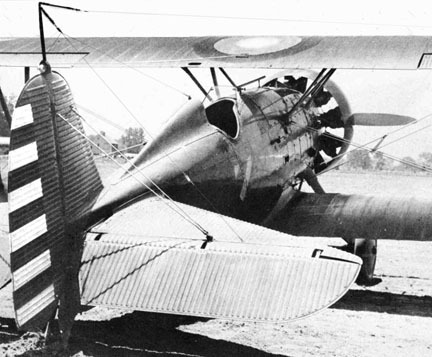 Folding wings; ungainly-looking four-wheel gear to accommodate torpedo rack; optional twin floats. XTB-1 1927 = POP: 1 prototype [A7024]. TB-1 (Model 63) 1927 = POP: 2 [A7025/7026]. Totem (C-204) (Canada) 1931 = 4pCmwMF; 300hp P&W Wasp Jr pusher; span: 42'0" length: 32'9" load: 1300#. Single-wing, metal-hull version of 204 Courier built by Boeing-Canada for use in forestry patrol, mining survey, and prospecting. POP: 1. X-20 Dyna-Soar 1963 - Hypersonic/suborbital research aircraft. 10 ordered and assigned USAF serial numbers, but canceled before any airframe was completed. All parts were used for testing or were scrapped. X-32, JSF (Palmdale CA) 2000 = Joint Service Strike Fighter, in development at this writing; production planned for 2008. 1pChwM rg; span: 36'0" length: 45'0"; ff: 9/18/00. Shoulder-wing, twin tails. 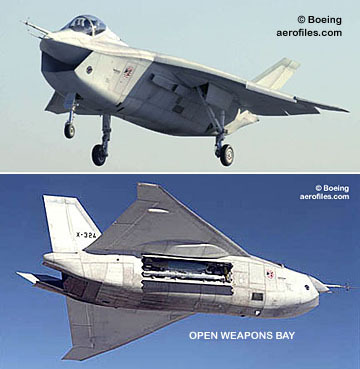 POP: 2 concept demonstrators, unveiled 12/16/99, to be supplied as prototypes for competitive testing1 as X-32A combination USAF CTOL (conventional take-off and landing) and USN CV (carrier operation, with planned folding wings) version, and 1 as X-32B STOVL (short take-off and vertical landing, with 30'0" fixed wings) version for USMC and Royal Navy. JSF contract went instead to Lockheed-Martin X-35 in 2001. X-32A to USAF Museum for display on 4/22/05; disposition of X-32B unknoiwn..
X-45A 2001 - Unmanned combat vehicle in preliminary test stages; technology carried over from Bird Of Prey. X-46A 2002 - USN carrier-based version of X-45A. X-50 200? - Canard rotor/wing demonstrator capable of rapid transition between a helicopter for VTOL operation and a high-speed fixed-wing vehicle. Y1, Y2, Y3 - Y-for-"Yellowstone," Boeing Commercial Airplanes' project to replace its entire line of civil aircraft with advanced technology aircraft, including composite aerostructures, more electrical systems (reduction of hydraulic systems), and more fuel-efficient turbofans (eg: GEnx, CFM International LEAP56, Trent 1000). "Yellowstone" refers to the technologies, "Y1" through "Y3" to the actual aircraft. Y1 will replace 717, 737, and 757 in the 100- to 200-passenger market. Y2 will replace 757 and 767, possibly 777-200it initially referred to the Sonic Cruiser, but has now been built as the 787 and covers the 220- to 320-passenger market. Y3 will replace 777-300 and 747 in the 320+ passenger market. YAL-1A 2000 = 747-200F with a high-energy, chemical oxygen-iodine laser firing through a 5' turret on its nose. Developed under a USAF contract for the mission of shooting down ballistic missiles. Planned production: 7, with first aircraft to be delivered to Boeing-Wichita for conversion in early 2000. -Sikorsky H-66, RAH-66 Comanche 1996 - Army attack and recon/observation gunship to replace AH-1 and OH-58. 2pCH; two 1432# T800-LHTEC-801 turboshafts, five-blade rotor; rotor: 39'0" length: 43'3" v: 201/190/0 range: 300 ceiling: 14,980'; ff: 1/4/96. 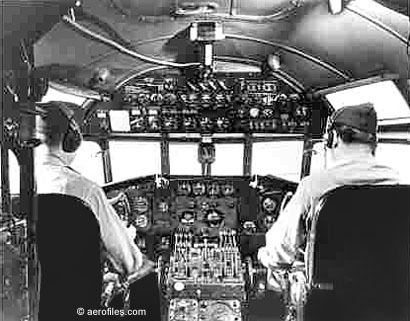 Tandem cockpits, anti-torque fan-tail; radar fire-control. 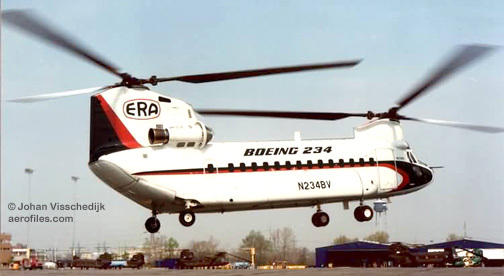 c.$13m unit cost in 1995; POP: 2 prototypes by Sikorsky (Bridgeport CT) as YRAH-66 for flight testing through 2003 [94-0327, 95-0001]. Contract for scheduled production canceled on 2/23/04. 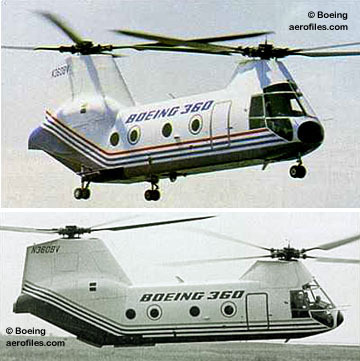 contribution of data to the Boeing Vertol series. -Vertol 107 SEE Vertol 107. -Vertol 107-II SEE -Vertol CH-113. -Vertol 114 SEE HC-1, H-47. -Vertol 179 1975 = Commercial version of YUH-61A; two GE CT7-1; rotor: 49'0" length: 51'9" v: 220/200/0 range: 475; ff: 8/5/75. POP: 1 retained from Army order for a company use [N179BV]. -Vertol 234 1981 (TC H9EA) = Commercial 44p version of H-47C. Two 3750hp T55-L-11C or 2975hp Avco-Lycoming AL5512; rotor: 60'0" length: 52'1" v: 195/170/0 range: 850 ceiling: 12,000'. Suffix models were -LR for Long-Range passenger service, -ER for Extended-Range services with reduced seats, and -UT as Utility cargo carrier. -Vertol 301 SEE H-62. -Vertol 308, 309 SEE CH-47C. -Vertol 347 1970 = CH-47A modified with stretched fuselage, taller aft pylon, retractable gear, small experimental wings, and four-blade rotors; ff: 5/27/70 [65-7992]. 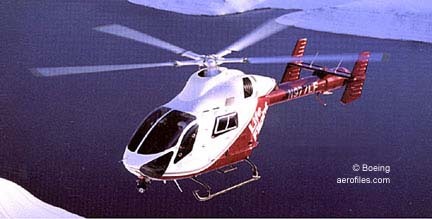 A fly-by-wire control system was used to integrate rotor and wing functions automatically. Later the hydro-mechanical rotor control was altered to fly-by-wire concept, becoming the world's first helicopter to be flown with an electrical connection between pilot and rotor system. 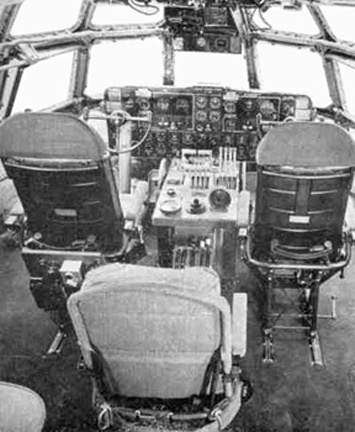 In the program for Model 301 HLH, wings were removed and it was fitted with a retractable capsule behind the cockpit to evaluate the load-controlling crewman's station and functioins for the rearward-facing load-controller. -Vertol 360 1987 = Experimental, all-composite, tandem-rotor helicopter similar to 107 with two 4200hp Lycoming AL5512 turboshafts with two four-blade rotors, retractable gear; ff: 6/10/87. Reportedly was capable of very high speeds, 230 mph. POP: 1 demonstrator [N360BV], seen still in existence (2006) in outside storage at New Castle County Airport (DE), its purpose or disposition unknown. -Vertol CH-46, UH-46 Sea Knight (Model 107) 1962 - Redesignation of HRB in 1962; civil version was CH-113. Licensed manufacturing also by Kawasaki in Japan. CH-46D 19?? = 27pCH with 1400hp T58-GE-10; v: x/150/0 range: 115. POP: 165 [152554/152579, 153314/153403, 153951/153999]. UH-46D 1964 = Supply and cargo. POP: 10 [153404/153413]. CH-46E 1983 = Modifications of earlier models with two 1870hp T58-GE-16 turboshaft; new fuel systems, added rescue equipment; rotor: 51'0" length: 44'10" v: 166/150/0 range: 230. POP: about 275 conversions for USMC. CH-46F 19?? = Advanced avionics. POP: 176 to USMC [154845/154862, 155301/155318, 156418/156477, 157649/157726, 158334/158345]. -Vertol CH-47 Chinook - US Army/USN ground-fire suppression H-47. Evolved and redesignated from HC-1. 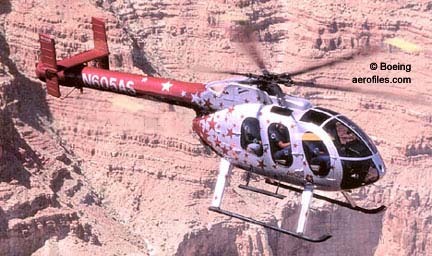 Licensed manufacturing also by Agusta in Italy. CH-47A (Model 114) 1961 = Two 2200hp Avco-Lycoming T55-L-5; rotor: 59'1" length: 51'0" v: 175/155/0 range: 960; ff: 9/21/61. POP: 354 to Army [62-2114/2137, 64-13106/13165], 84 to USN. 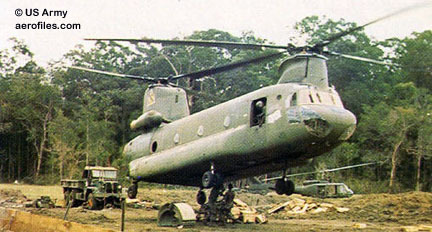 Most all were eventually converted to CH-47D. ACH-47A 1965 = Gunship version of CH-47A. POP: 4 [64-13145, 64-13149, 64-13151, 64-13154]. JCH-47A 1961 = Temporary designation for flight tester. POP: 1 [60-3449]. CH-47B 1966 = POP: 108 to Army; ff (as YCH-47B): 10/x/66 [59-4984]. CH-47C (Model 234) 1967 = Two 3750hp T55-L-11A; rotor: 60'0" length: 51'0" v: 195/170/0 range: 250; ff: 10/14/67. POP (Model 165): 12 to Australia, (Model 173): 9 to Canada as CH-147, (Model 176): 10 to Spain as HT-17, (Model 219 (Agusta)): 15 to Egypt, 10 to Greece, 67 to Iran, 28 to Italy, 20 to Lybia, 6+ to Morocco, (Model 234): 270 to US Army, (Model 308): 3 to Argentina AF, (Model 309): 2 to Argentina Army, (Model 352): 41 to UK as HC.Mk.1/1b. Subsequent C-models: 3 to Japan (plus 55 built by Kawasaki), 18 to Korea, Nigeria, and 3 to Thailand. CH-47D 1982 = Upgrading program for 472 of earlier models CH-47A/-47B/-47C; 7500hp Lycoming T55-L-712I, fiberglass rotor blades, new cargo and flight control systems, improved avionics, night vision. POP as new Model 414: 9 to Spain. Also built by Kawasaki as CH-47J. MH-47E 1990 = Special Forces version with increased fuel, terrain-following radar, integrated avionics, EFIS, jammers, window-mounted machine guns, external hardpoints, refuelling boom; ff [90-0414]: 6/1/90. 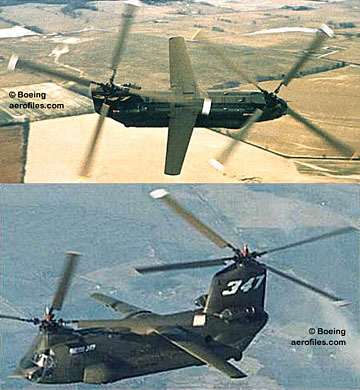 -Vertol CH-113 (Model 107-II) 1958 (TC 1H16) = Two 1400hp GE CT58-140; rotor: 50'0" length: 44'7" v: 168/153/0 range: 750. POP: 25 commercial transports for New York Airways. Licensed production also by Kawasaki in Japan. -Vertol H-61 (Model 179) 1974 = 22pCH; two 1500hp GE T700; rotor: 49'0" length: 51'9" v: 195/190/0 range: 300+; ff: 11/29/74. POP: 4 [73-21656/21660], [-21659] was not completed; [-21660] retained by Boeing Co as commercial 179 and registered [N179BV]. Military competitions as YUH-61A in which Sikorsky UH-60 won out. -Vertol H-62, "HLH" (Model 301) 198? = "Heavy-Lift Helicopter" experiments. Projected as XCH-62A with three 8080hp XT701 turboshafts. Construction of a prototype airframe began in 1974 and was mostly completed, but transmission development problems prevented flight testing [73-22012]. Most recently displayed in the yard of US Army Aviation Museum. -Vertol HC-1 Chinook (Model 114) - Army CH. YHC-1A (Vertol) 1959 = POP: 1. YHC-1B, YHC-47A 1961 = POP: 10 [59-4982/4986, 60-3448/3452]. -Vertol HC-46, HC-47 Chinook - Redesignation of HC-1 in 1962. -Vertol HRB Sea Knight 19?? = USN. POP: 60 [150265/150278, 150933/150968, 151902/151905, 152490/152495]. Production continued as redesignated CH-46/UH-46.